! With these monitors you can give your passengers the best entertainment while on long, boring drives. 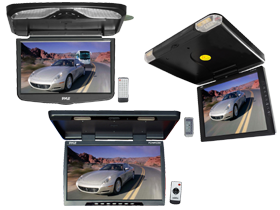 Here at HalfPriceCarAudio.com, we offer Pyle Overhead Monitors at very affordable prices so you smart shoppers can save big on your purchases!